Sometimes, I wonder how runners select which running events they will participate in out-of-the many events out there. My educated guess is that most runners are attracted to events with big and famous brand sponsors like Adidas, Brookes, MacDonalds, Mizuno, New Balance, Nike, Siemens, and Standard Chartered International Marathon. Another major consideration is the reputations of certain running events which has been established over the years since their inceptions such as the ever popular Penang Bridge Inernational Marathon (PBIM) and Seremban Marathon which started in 1985 & 1987 respectively. The fourth leading factor which can determine a race popularity is how well the race is publicised and marketed. The social media has become an important ally for event organisers and sponsors to reach the masses successfully. The marketing of races online is becoming more important than its offline counterpart. Furthermore, I have noticed that the marketing people like to emphasise on a race’s X-Factor to draw the crowd. For example, certain unique race locations such as being able to run across 3 states of Penang, Perak and Kedah in one 25 KM race or running along the world’s 3rd longest bridge can all be a crowd-puller. Even a cool running vest or T-shirt in the goodie bag can attract more runners – no matter how shallow it sounds. Hoohathlon in May 2011 – I was personally invited by the race organisers and my friends Anand and Nithi of Twentury First Century Sports. 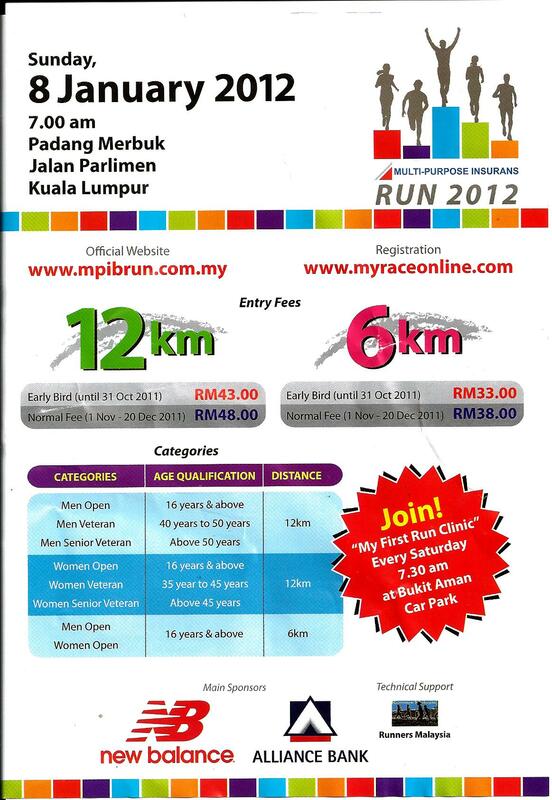 Seremban Marathon 25 KM in June 2011 – I saw an advertisement in the newspaper. 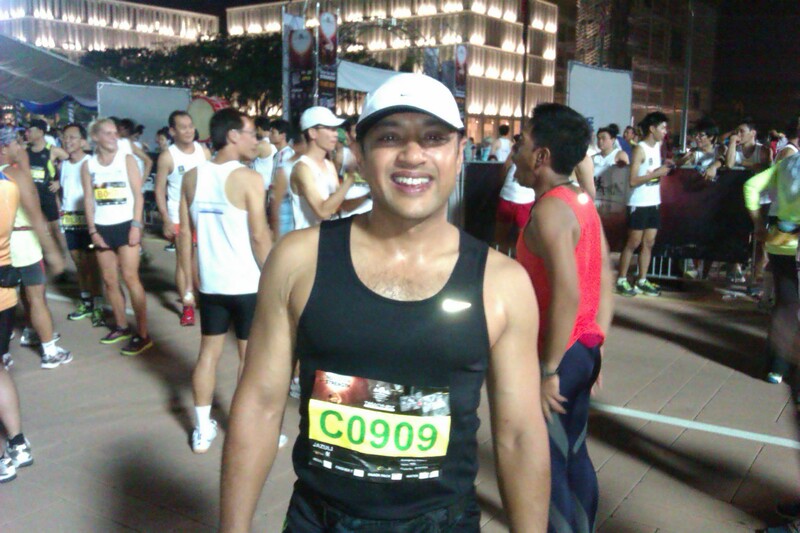 Putra Jaya Night Marathon in October 2011 – I was looking for my first 42 KM event. 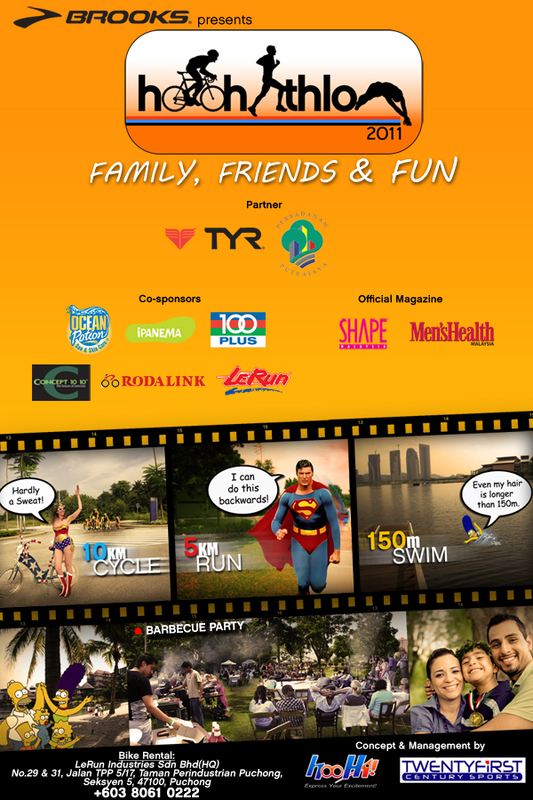 Desa Park City 10 KM Run in November 2011 – I was given a flyer at the Siemens Run (see avove 3). Across 3-States Half Marathon in December 2011 – I thought it would be cool to run across Penang, Perak & Kedah in one race. AdiNation 8.2 KM Run in December 2011 – My friend invited me to run, and I wanted to run my first trail run. Larian Kitar Semula 3 KM in December 2011 – I wanted to support this recycling campaign. 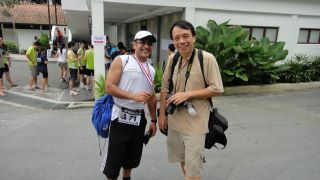 Bukit Tangga 12 KM Run in December 2011 – I wanted to run my first 12 KM race, and I was attracted by the hilly race course. In summary, there are many interplaying factors which will finally determine our running calendar. For me, the most important goals of participating in any race are to keep fit, meet good friends, and to have fun doing it! This entry was posted in Running, Sports and tagged race pick, races, Running, sports. Bookmark the permalink.